Find Better Ideas, Faster ® with a custom macho branding trend report, our PRO Dashboard and 80+ categories of premium trend reports. 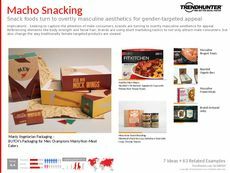 Trend Hunter's Macho Branding Trend Report is a revealing look into brand identity and messaging with a hyper-masculine twist. 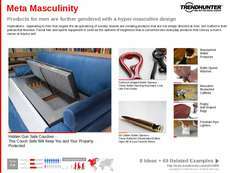 Our expert research methods compile the most creative examples of macho branding trends across various industries. We also highlight consumer reactions to macho branding practices across multiple demographic groups, providing readers with a comprehensive guide to emerging patterns. Our findings will be especially useful for those working in the marketing sector, and will help professionals adopt a winning strategy when it comes to macho-inspired branding. Learn by example with the help of Trend Hunter's curated collection of industry trends, coupled alongside recognizable consumer market patterns. 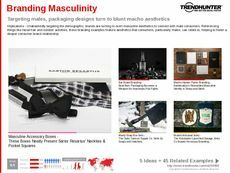 The Macho Branding Trend Report is a detailed study of best practices by some of the leading professionals working in the industry today.